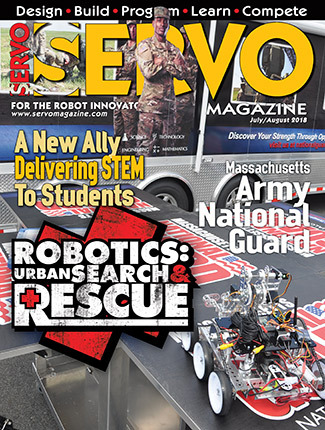 Read about troubleshooting random re-boots with a Raspberry Pi; if motion sensors can be used as infrared receivers for remote uses; reviving the battery in an AIBO; and getting into telepresence robots. New Sensor on the Block! There’s a new sensor on the block: a laser obstacle type that you really have to try. Lasers are just plain cool, and this one only costs about $10-$15. 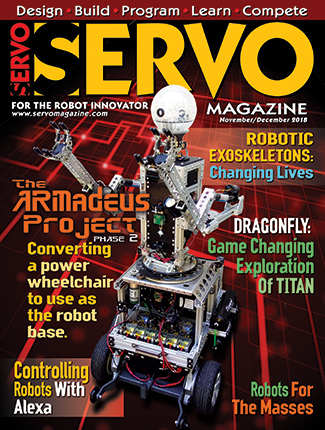 Using a BASIC Stamp 2 in omni-wheeled robots, building a robot arm to move chess pieces, and ideas for keeping yourself entertained on long flights are all discussed this month. Topics discussed this time include servo options, dealing with a sonar range finder’s erratic responses, an explanation for jittery servos, and to LEGO or not to LEGO. Mr. Roboto returns to offer solutions to those issues plaguing our robot builds. Take a look at some different camera options to stream live video from your drone or mobile robot to your smartphone on the cheap. Building the Cruiser Robot. We’ll wrap up our series by using the knowledge we’ve gained to construct Cruiser: a rolling breadboard which can turn in place using differential steering. RoboCar — The Self-Driving Car of the Future! 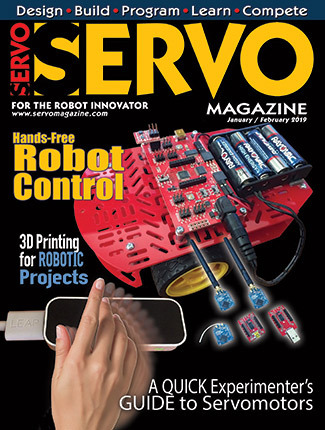 Analog Sensors, ADCs, and a Walking Robot! Take a look at some simple sensors to give our breadboard the ability to measure distance, light, and temperature, then turn that breadboard into a simple robot. LEDs, IR Control, and Servos We continue with our tips and techniques for implemeting PICAXE 08M2+ chips in robotic applications. 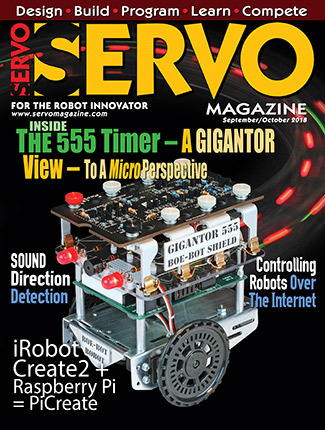 Ready to try a different microcontroller in your robot builds? Well, this new series will show you how to work with a PICAXE 08M2+. Similar to last month’s SpiderBot hack, see how to take a $10 kit and turn it into programmable bot with a mesmerizing walking action. Hack an $8 toy into a programmable walking and sensing maniacal octopod of doom! RoboVoice will definitely give your robots something to talk about!